“Your child has cancer.” These are words nightmares are made of, yet about 46 sets of parents hear them each day in the U.S. Daniel’s Care Van exists because these words exist. Our founders, as well as some of our volunteers and donors, have heard these words and know first-hand the challenges faced by families facing a cancer diagnosis with their child. For many forms of childhood cancer, treatment goes on not just for weeks or months, but years. Imagine needing to find transportation to three years of life-saving appointments for your child. It seems unbearable, and that’s why we’re here to help the families of kids with cancer in the Denver area who don’t have reliable transportation. Forty-six kids are diagnosed with cancer each day in the U.S., and seven die. The average age for a child diagnosed with cancer is 6. Childhood cancer spares no ethnic or economic group. 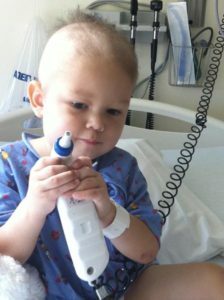 Average length of treatment for a child with leukemia is 2.5-3 years. Since 1980, only three drugs have been approved specifically for childhood cancer. Society gives less than 1% of their funds to childhood cancer research. Childhood cancer does not discriminate, sparing no ethnic group, socio-economic class or geographic region. The causes of most pediatric cancers remain a mystery and cannot be prevented. While survival rates for some forms of childhood leukemia have increased in the last few decades, there are still some types of the disease that have NO cure.